Evanston Wyoming USA 1971. 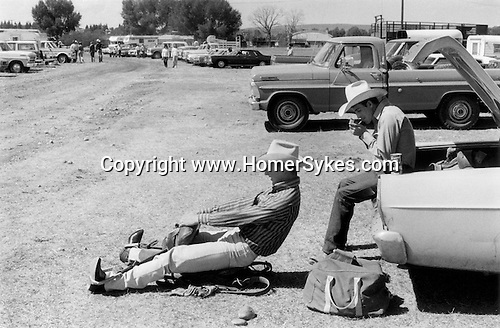 Two young cowboys, preparing for a rodeo in the car park. One sits on a horse saddle that is on the ground and pretends he is on a horse while another lights a cigarette sitting in the trunk of their automobile.